According to the survey of around 9,000 parents/grandparents, a large 54 per cent of respondents said schools have increased the fee between 11 to 20 per cent. As per a nationwide survey, huge number of parents claimed that schools have hiked fees between 11-20 per cent in 2017. Moreover, 15 per cent of parents surveyed said their schools have hiked the fees by over 20 per cent, the survey by community social media platform Local Circles has said. “The fee increase in many schools has again been quite high this year and parents in different parts of the country have come on the roads to protest about it,” the survey said. “They have also been complaining about the hefty increase in the annual fee charges which schools are not able to justify,” it said. Parents across the country are very concerned as school fee in the last years has been rising at a much faster rate than the average earnings of the parents thereby creating a squeeze, it further said. “15 per cent said that the increase was above 20 per cent and 31 per cent said that the increase was between 0 -10 per cent,” the survey said. Over 75 per cent parents from Haryana, Andhra Pradesh, Kerala, West Bengal, Rajasthan, Uttarakhand, Jharkhand and Goa said that their child’s school has increased the fee by more than 10 per cent. Around 50-75 per cent parents from the states of Uttar Pradesh, Maharashtra, Madhya Pradesh, Telangana, Karnataka, Tamil Nadu and Delhi said that fee hike has been more than 10 per cent. Only Gujarat and Bihar were the two states where parents said that majority of the schools have increased the fee by less than 10 per cent. Local Circles said it interacted with heads of some schools that have capped their fee increase to less than 10 per cent and found that they focused on optimising costs, negotiated with their vendor base and also looked at reducing wastage of resources. “As a result, they were able to keep the fee increase to the permissible levels,” it said. However, parents have been feeling the pinch of hike in school fee with many admitting to cutting discretionary and household expenses to be able to afford their child’s school education, the survey said. Meanwhile, CBSE has mandated disclosure of the fee by schools to CBSE, and on websites of schools. 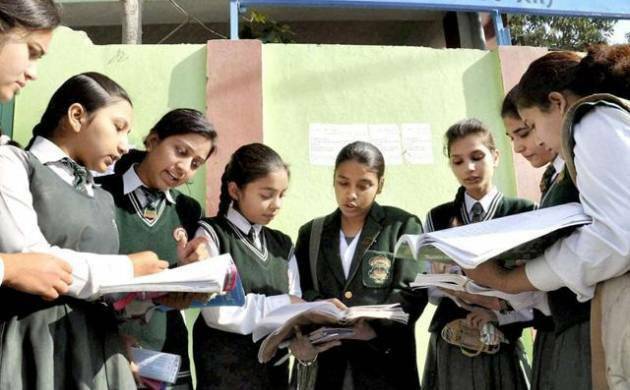 However, as per the last notification from CBSE, only 14,000 out of the total 18,000 schools had complied with the order, Local Circles said.